Love the look of Hand Applique but just don't have the time for handwork? Try this technique that will make your machine applique look as if it was done by hand and only take a fraction of the time too! Learn all about the tricks and tools you need for success. Your quilt will look like you sat for hours and needle-turned each piece by hand! And the bonus is your appliqued piece will have the look of trapunto with Erin's clever use of stabilizers! 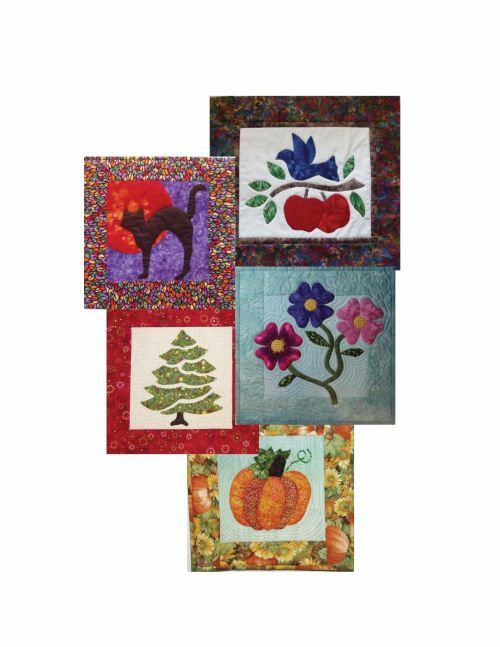 Patterns available for workshop include Blue Bird, May Flower, Night of the Cat, October Pumpkin, Holiday Tree.